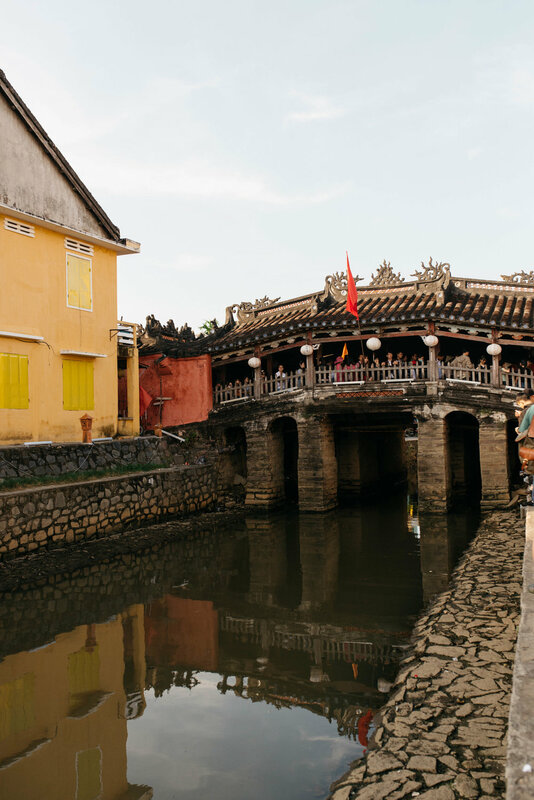 Hoi An Ancient Town is a wonderful area to take at a slower pace. The town offers a wide array of options for delicious food, strong coffee, tailored clothes, cheap beer, and beautiful views. 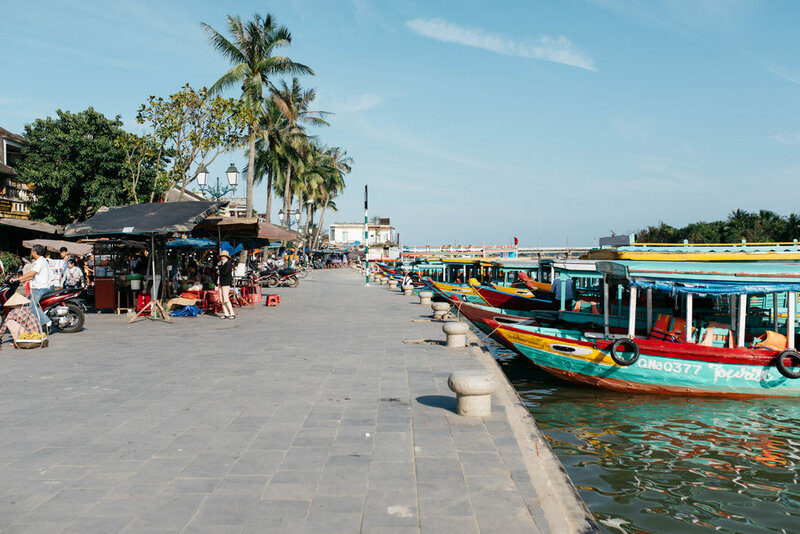 You can spend many days wandering through the lovely streets near the Hoai River, taking in the sights of the charming buildings and shops. Along the river you'll find both a day and night market, as well as many street food stands. Bicycle along a picturesque path just outside of town and you'll arrive at the beach. It's truly a delightful little place. DO ride bicycles from Ancient Town to An Bang Beach. Be sure to take the scenic route through the country roads heading east out of town on Tran Nhan Tong Road. You'll dodge water buffalo while taking in the sites of the palm groves. Once you arrive at the beach, there's plenty of options for bicycle parking. We found the best deals close to the beach were 5000 dong (or approx. $0.22 USD). The beach itself isn't the most pristine, white sand beach. But it serves it's purpose on a sunny day! Ride scooters over the scenic Hai Van Pass. 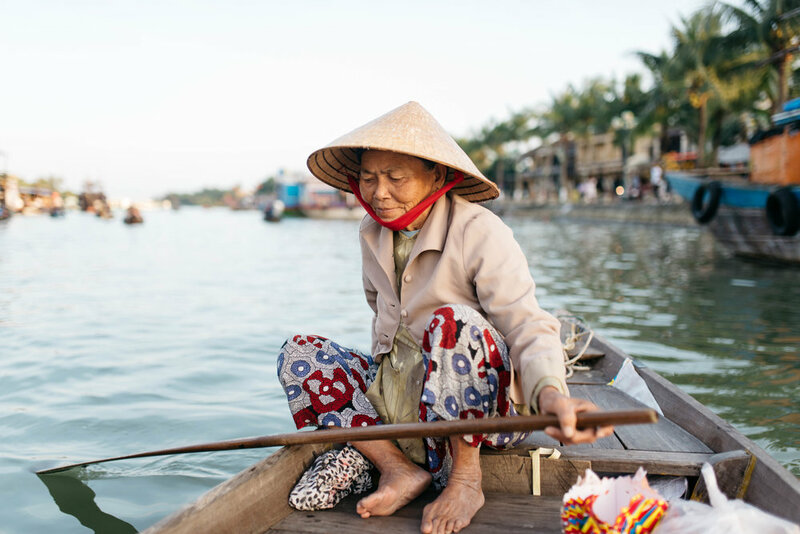 From Hoi An, the journey to the lookout point will take approximately 1.5 hours. The views are incredible especially at the top where you can see the path to Hue as well as back towards DaNang. Traffic in Vietnam is crazy so make sure to have some experience on a motorbike before heading out. EAT at Madam Khanh - The Banh Mi Queen. 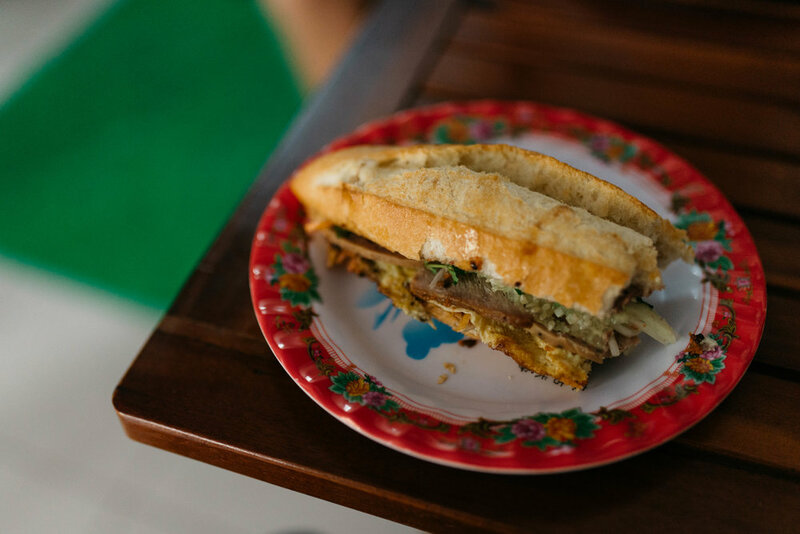 You cannot come to Hoi An without trying arguably the best banh mi sandwich in all of Vietnam here. Make sure you have the "everything" - it includes an egg and is topped with chili. 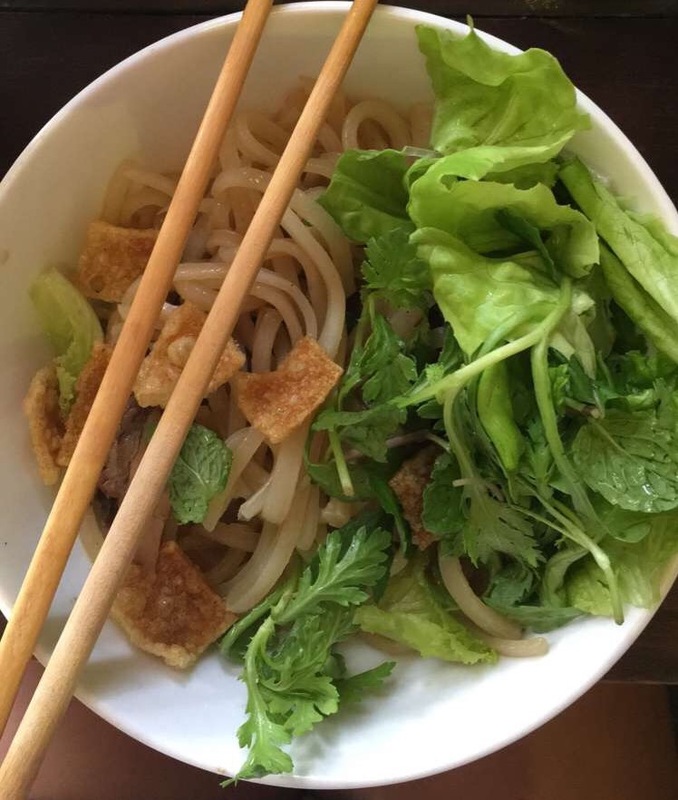 Other Hoi An specialties include: Cao Lau (the Hoi An traditional version of pho made with thicker yellow noodles and pork). 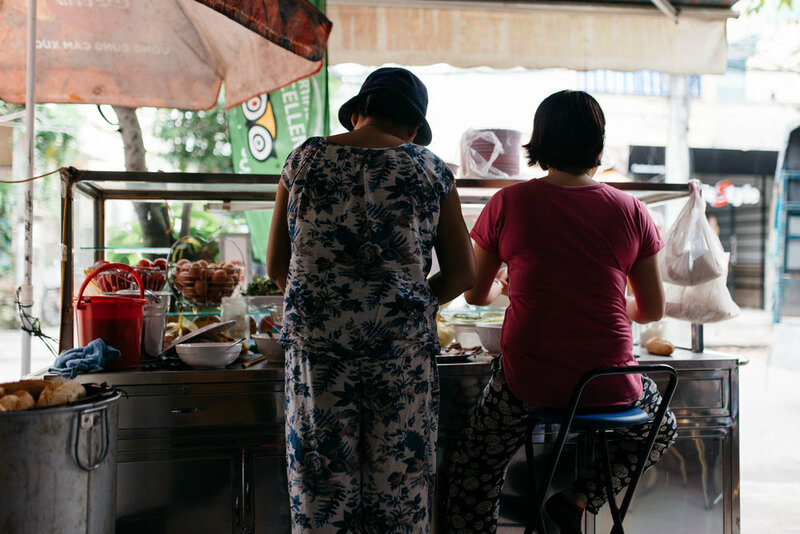 We enjoyed ours at Moc Huong Coffee Bar, which is conveniently located next to the Queen of Banh Mi; White Rose Dumplings; And if you see ladies selling roasted corn on the streets, try their sweet potato, coconut milk and corn fried patties. They're a delicious little snack. Needing a break from the Vietnamese cuisine? Ganesh Indian Restaurant offers rich flavors and huge portions. 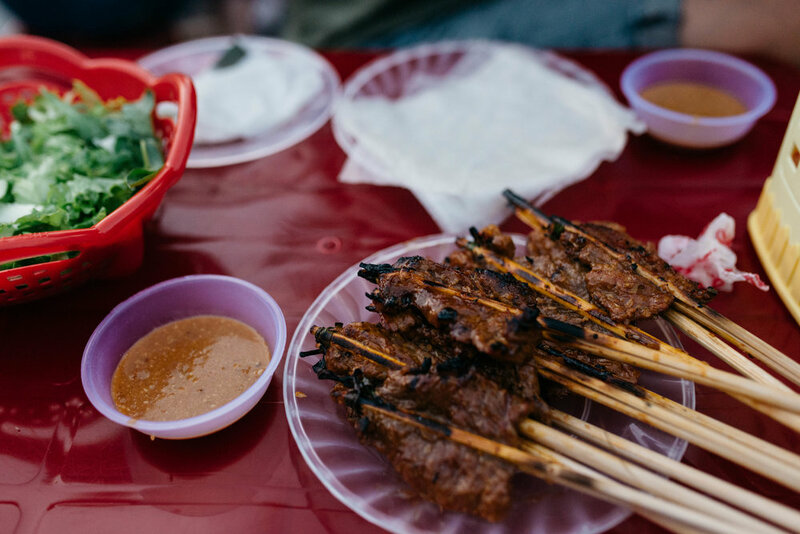 Your meal will cost more than at a traditional restaurant in Hoi An, but it's definitely worth it if you're needing a good change. We were told Morning Glory has delicious food (and a great cooking class) but we unfortunately did not make it there! CAFFEINATE with a cup of strong and delicious Vietnamese coffee at Faifo Coffee. Here you'll find a talented young coffee connoisseur (Phap) and a lovely cafe. The cafe is three stories including a rooftop deck with gorgeous views. Everything we tried here was incredibly tasty. We also loved the experience watching the beans being roasted here. If there's one thing you need to know about coffee in Vietnam, it's that the Vietnamese like it sweet. Black coffee commonly comes with sugar. Brown coffee comes with condensed milk (which also has sugar in it). You can ask to have yours without sugar or milk but the coffee will likely taste bitter (hence the reason for so much added sweetness). Iced coffee seems to be more popular than warm coffee. If you're willing to try iced, we also recommend the iced coconut coffee. 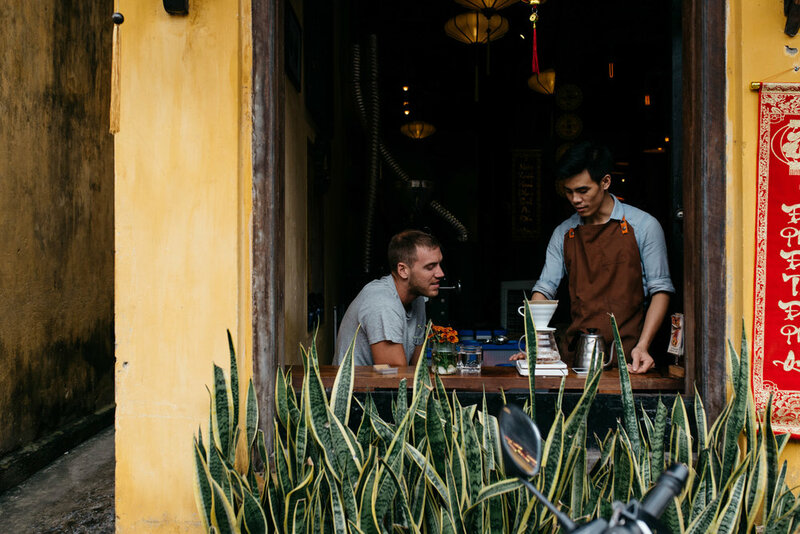 Aside from Faifo, some of our other favorite cafes include Cocobox Vietnam and Hoi An Roastery. STAY in the Ancient Quarter. From there, you'll be able to walk to many of the shops and restaurants. The beach is only a ten minute bike ride or five minute scooter ride away. SHOP in the endless shops near the Hoai River in the Ancient Quarter. Hoi An is known for its array of shops offering custom tailored items - suits, dresses, leather handbags, shoes, etc. They'll even ship items home for you if you don't have room to pack them. Shipping costs are typically not included in the price. However, be forewarned that you definitely get what you pay for. (If the item is very unrealistically priced, you might end up with shoes that fall apart the first day you wear them for example!) We had a wonderful experience at Song Leather and found their prices to be average for the quality. No matter which shop you choose, be sure to pick out the exact leather or fabric you'd like them to use and also show the designer many pictures of what you would like made. This will ensure there are no surprises when you pickup your item(s). KNOW that if you visit Hoi An on the 14th day of any lunar month, you'll be treated to the beautiful sight of the full moon lantern festival. Colored lanterns will fill the river while the streets are even more romantic than usual. Take a boat cruise down the river during sunset to soak in the views of the busy streets nearby. Rides are typically 30 minutes and the price is negotiable. Beware, the ladies will kindly "let" you send candle lanterns down the river, but you'll be asked to pay for them after your ride. Visit the Japanese Covered Bridge. This site attracts large crowds both during the day and in the evening to witness the elaborate decorations and reflections in the water.